Americans have been recorded exchanging handmade Valentine's day cards as early as the 1700s, exchanging small tokens of affection or handwritten notes with friends and lovers of all social classes. Currently, an estimated 1 billion Valentine's Day cards are sent each year, and the holiday is celebrated as a time to exchange sentiments, gifts, or sit down together for quality time over a shared romantic meal. While many regard Valentine's Day as a day specifically meant for celebrating romance, Valentine's day can also be a day spent celebrating and showing a little love to whatever it is that makes you happy in life. 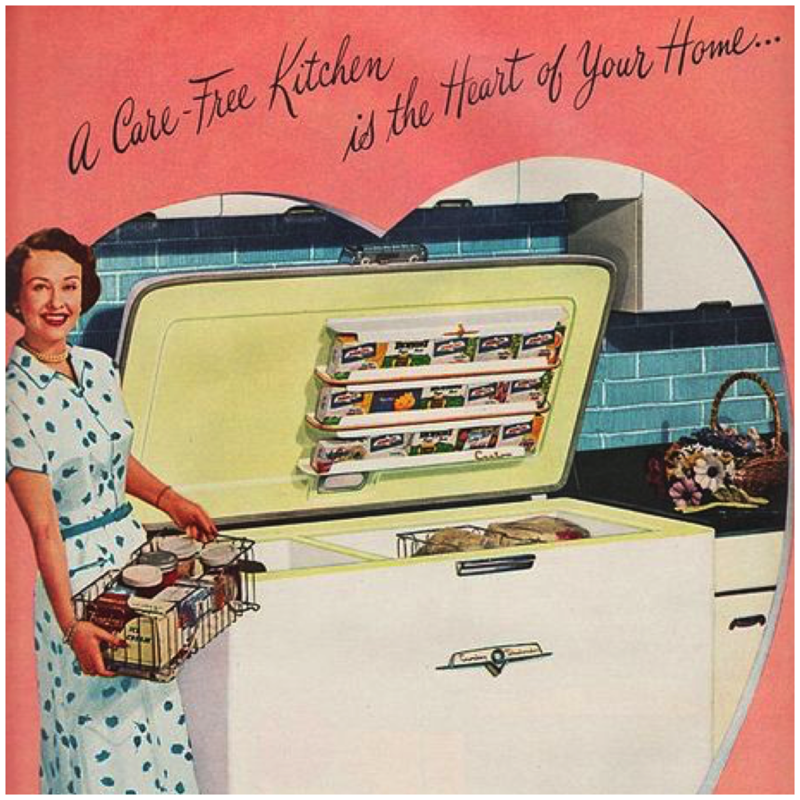 For us, it's kitchen appliances, whether it be refrigerators, ovens, dishwashers, or microwaves. 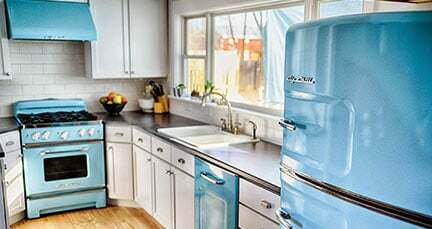 While they might not be a dashing Prince or dazzling Princess ready to sweep you off your feet, kitchens appliances will show you that they love you in their own unique way. Keeping your food fresh? Check. 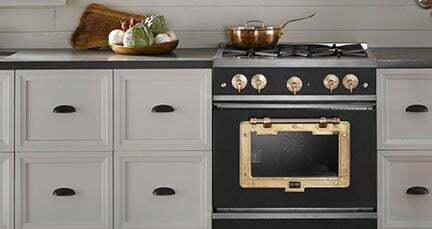 Roasting your dinner to perfection? Check. Helping you with sparklingly clean dishes? Check. 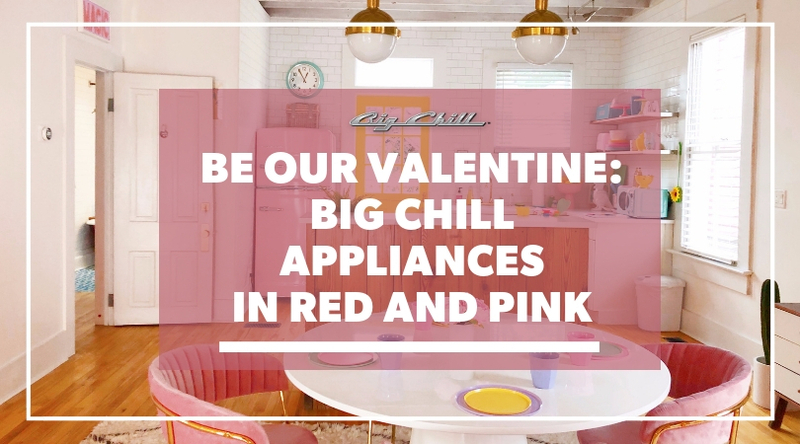 Let's celebrate Valentine's with a little color. 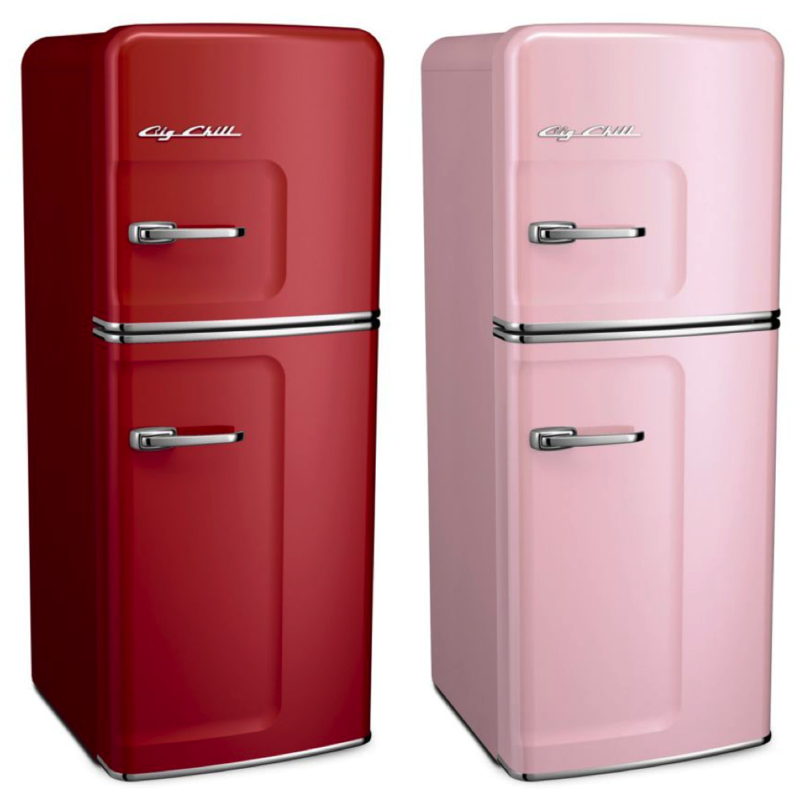 Traditional Valentine’s colors are red and pink, being the colors that are often associated with love and desire. 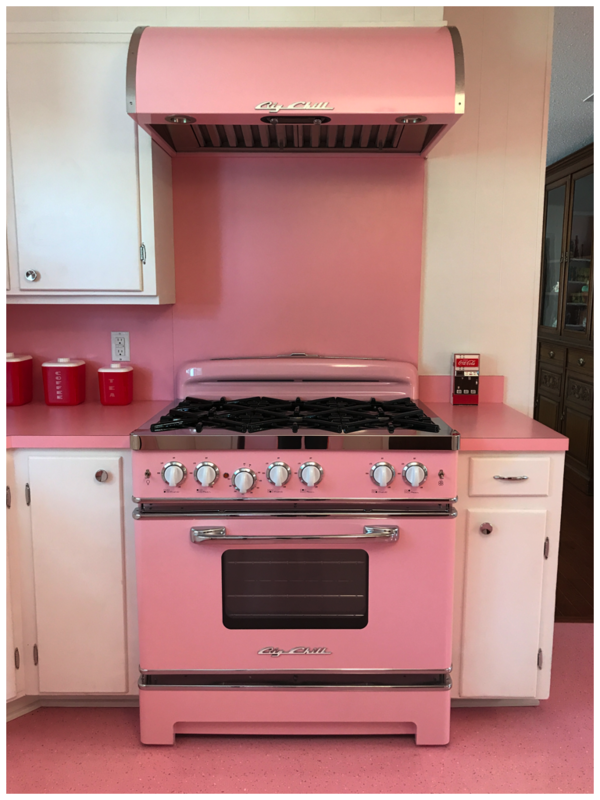 In your home, kitchens that are decorated in red are said to stimulate appetite, while kitchens that are decorated in pink are said to be nurturing and soft. 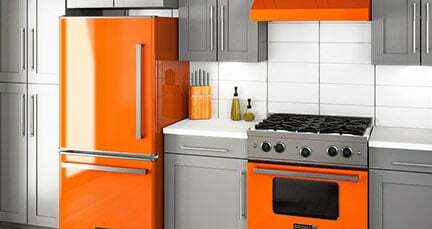 Looking for the perfect color to make you fall in love with your kitchen? Check out our custom color swatch with over 200 custom colors. 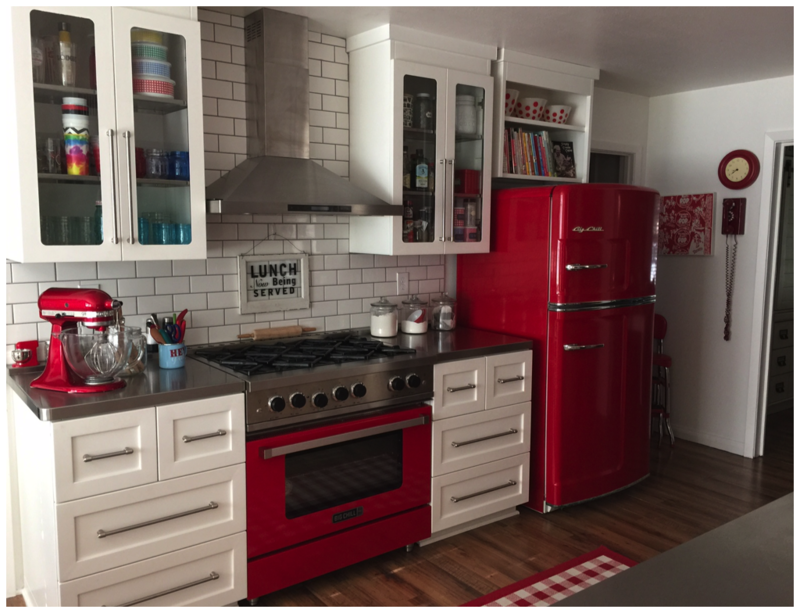 Red is an appetite stimulant and the most popular color choice for restaurant and kitchen decorating schemes. 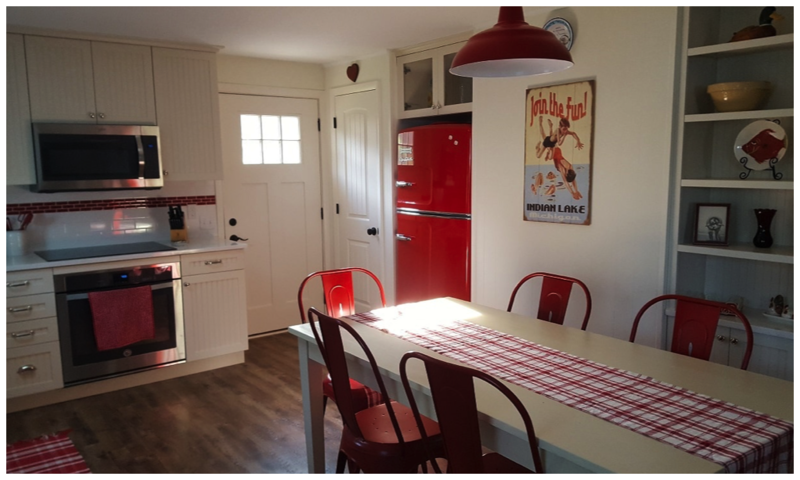 In the 1950s, kitchens decorated in cherry red were stylish and desirable, and the classic hue has made itself a permanent fixture in colorful home design. The color red is a warm and positive color, associated with our physical needs while promoting ambition and determination. Red signifies a need for adventure, and a passionate, adventurous, and outgoing individual. 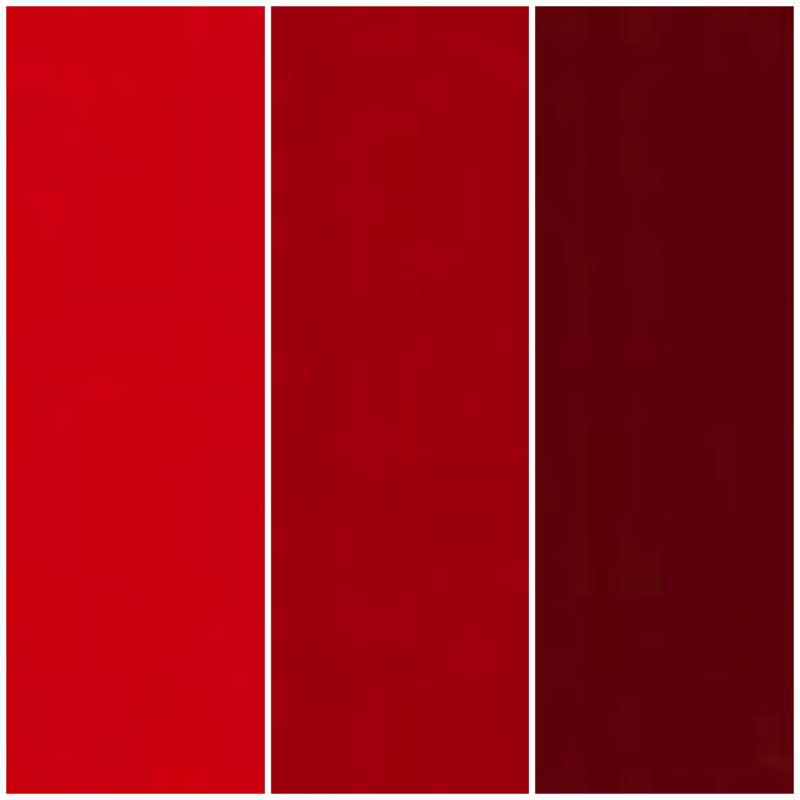 Red is the color of sensuality and can stimulate intimate passions like love in an individual. 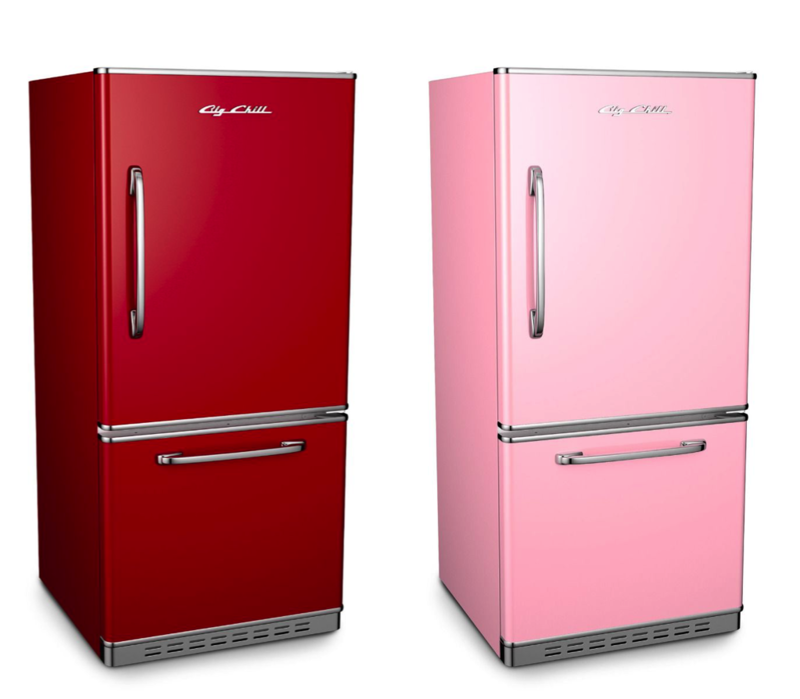 On Valentine’s Day, it's said that red is related more to passion, while love is typically expressed with pink. 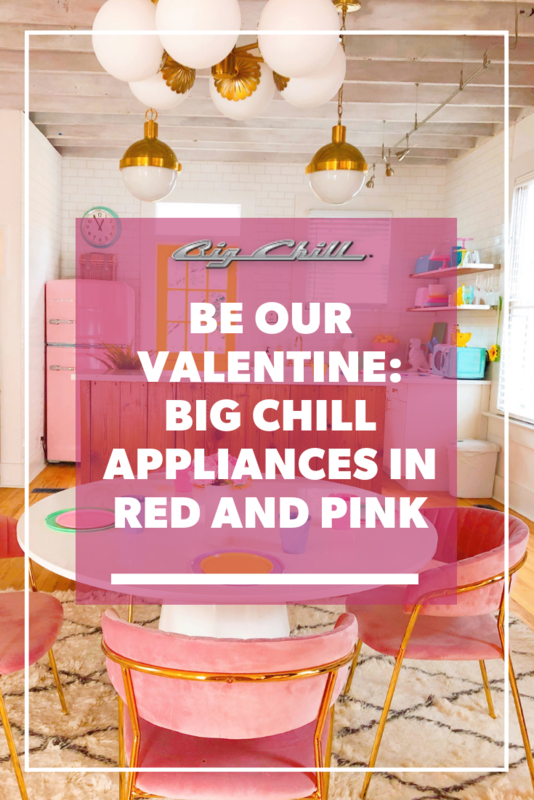 Pink for Valentine’s day is a romantic and thoughtful color choice, representing the sweetness and innocence of the child in all of us. 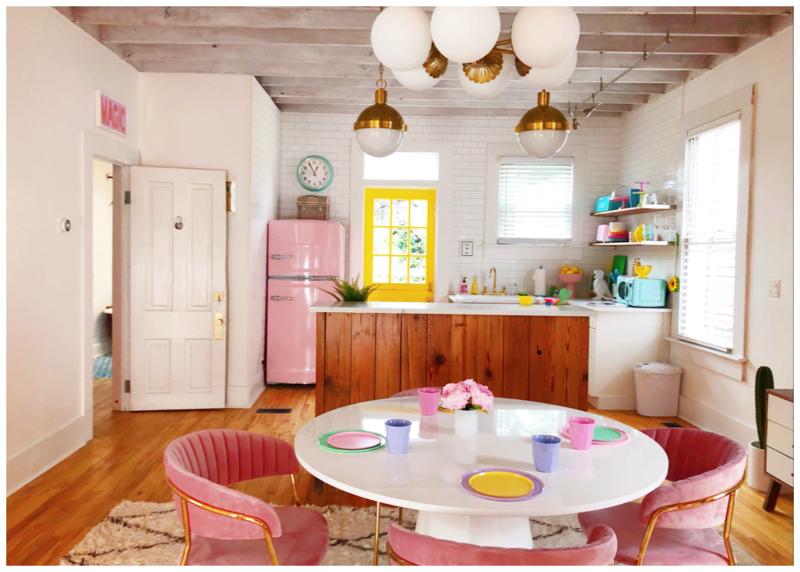 Pink in a kitchen usually shows a loving and kind individual, often with a romantic view of life that makes for idealistic standards. 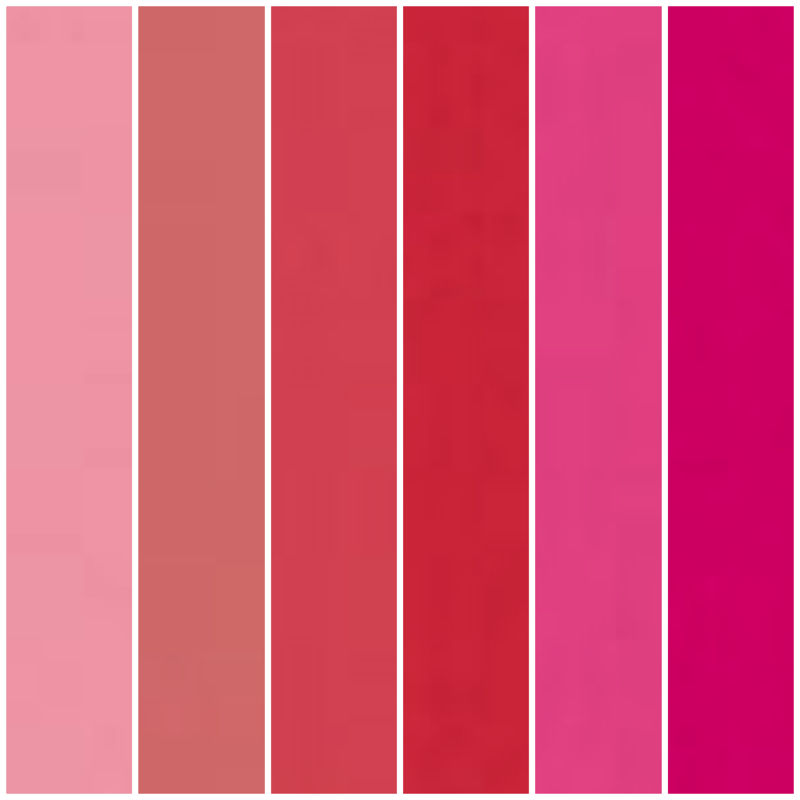 The color pink represents compassion, nourishment, and love. 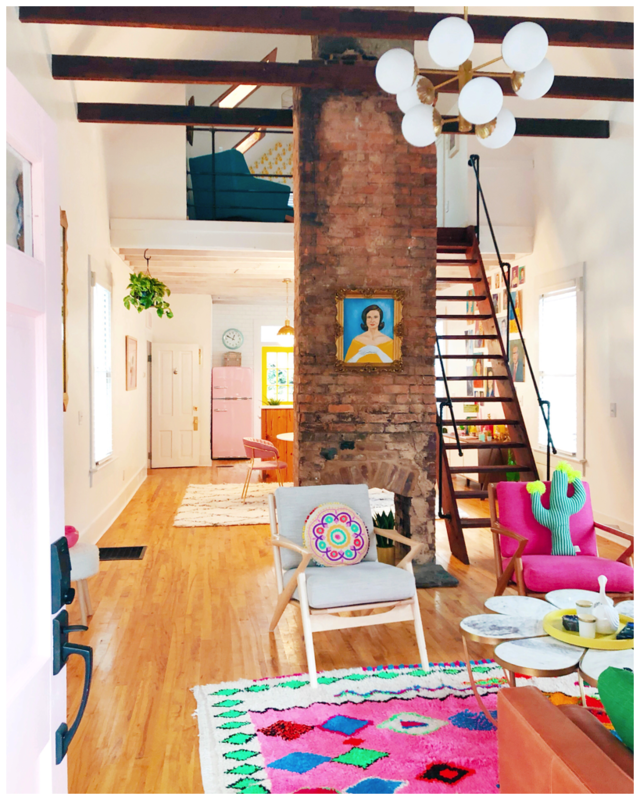 Pink showcases a more delicate and feminine side of the color spectrum, and it is said that the deeper the pink, the more passion the color exhibits. The color pink puts people in touch with the nurturing side of themselves, through either the need to give or the need to receive some TLC. The combination of red and white gives pink the passion of red, however, this is softened by the purity and openness of white. 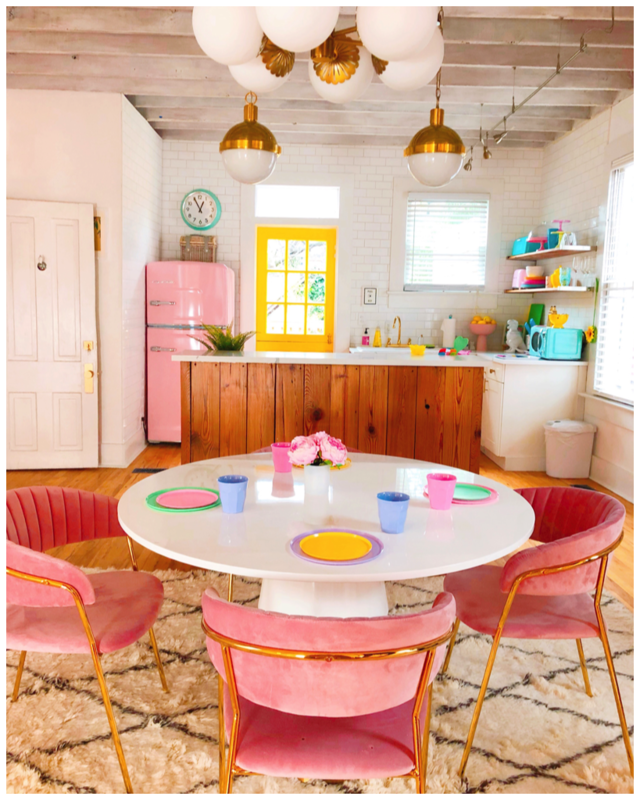 Because of this, pink can calm and reassure our emotional energies, alleviating feelings of anger, aggression, resentment, abandonment or neglect. 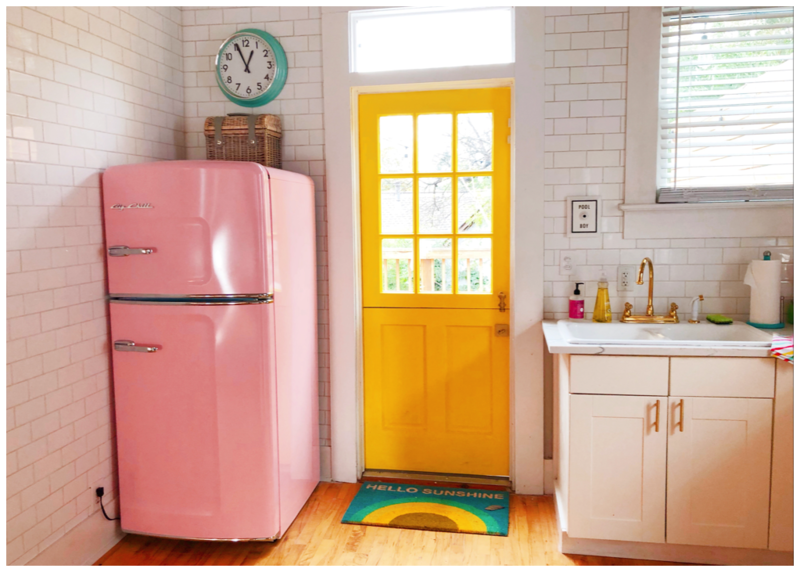 This adorable kitchen features a Big Chill Studio Refrigerator in Pink Lemonade, one of the nine standard colors in our Retro Collection. 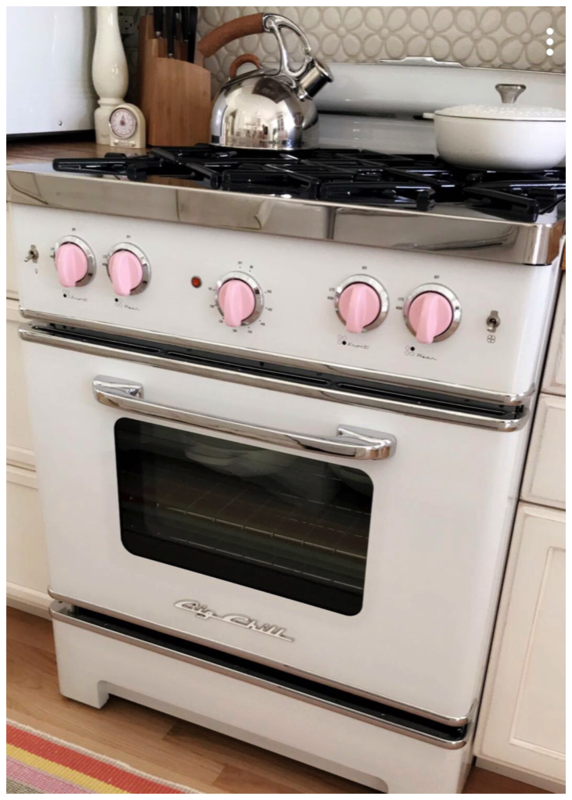 Big Chill 30" Retro Stove with custom pink knobs.